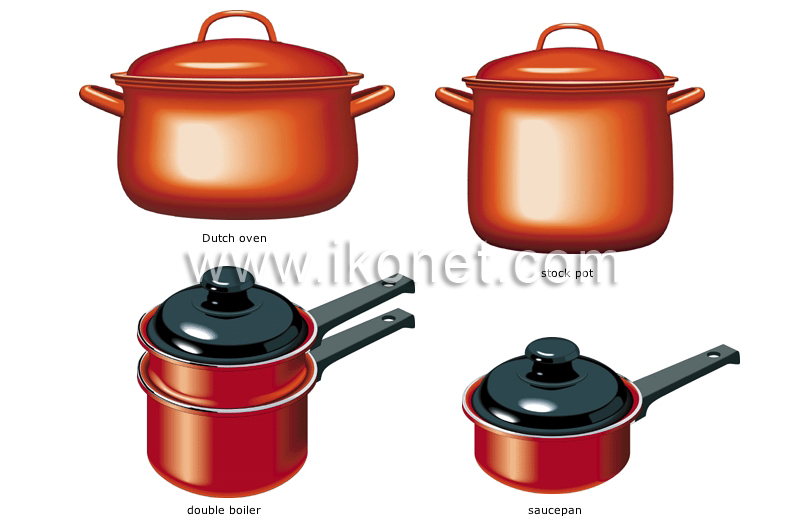 Utensil comprising two saucepans; the bottom one contains boiling water, which cooks or heats the food in the top one. Low-sided receptacle commonly used to heat liquids or cook food in a liquid. Container used for cooking large quantities of food in a liquid. Somewhat deep stock pot used for cooking food in a liquid.